Many of us are familiar with the predominant hiring practice in Nigeria. 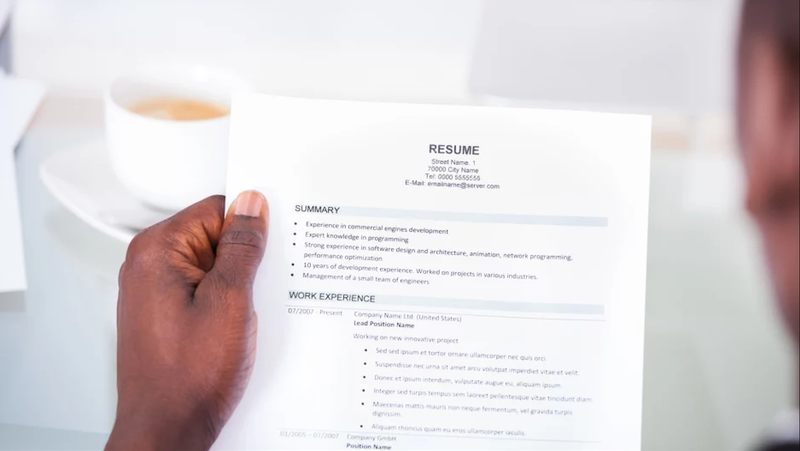 More often than none, recruiters refer to the CV/resume while interviewing a potential employee. Many of them are of the view that good grades and experience equates good hires. However, when such policies are employed, salient issues are raised: Does good grades or experience really translate to optimum performance? In light of recent findings by a job review site Glassdoor, they compiled and released a list of 15 companies that do not require job applicants to have a college degree. They include tech giants like Google, Apple and IBM. Other organisations include Costco, Starbucks and Chipotle. Their argument is that many talented job applicants might be self- taught or have a very good skill set that they have acquired and developed outside of the conventional academic institutions. These applicants can still perform in terms of work ethic, talent and technical know-how required to flourish in the roles that complement their skill set. As much as credentials can successfully highlight the knowledge of a job, it excludes the knowledge of particular competencies required for a job. Employers deduce the level of skills from the credentials provided and that could create 'skills gap' where there is a gulf between what employers require their workers to be able and willing to do, and what those employees can actually do when they start a job. Competency-based assessment is particularly favored in some developed countries where it has been used by government employing workers for a considerable length of time. “Academic qualifications will still be taken into account and indeed remain an important consideration when assessing candidates as a whole, but will no longer act as a barrier to getting a foot in the door,” added Maggie Stilwell, Ernst and Young’s managing partner for talent. Thus, we can have a ton of above average competency structures for entire parts of our economy. A competency-based assessment can be utilized over and again. Having this recruitment model ensures a simpler and more productive interview whenever a position should be filled. This favours variety; signalling experience, credential and skill set. By concentrating on skill set, a competency-based model can guarantee that individuals, all things considered, are capable; paying little mind to the length of their formal experience or other variables. This model can help in simplifying the process of employing people to fill new openings. Reducing turnover to the barest minimum is another viable result. We find that we have a tendency to lose workers either on account of particular practices they do at work that are wrong,in the event that we recruit workers for their capabilities, we can lessen the possibility of an awful job delivery. For our benefit, we should hire individuals who are exceptionally skilled and soft skills. Competency vs Credential based model. Which recruitment process are you currently using?